I thought it would be fun to take a look at this container home designed by Ken Kwok for the distant locale of Malaysia. 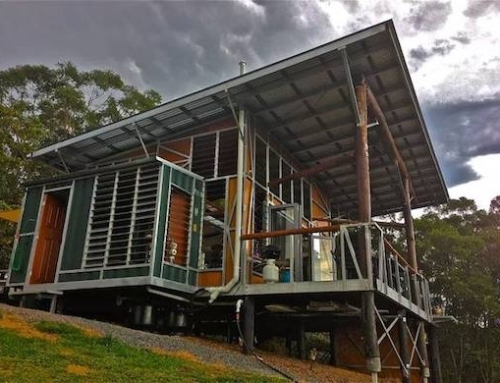 Using six shipping containers, Anand Bungalows developed the 2,551 square foot project, which includes rainwater harvesting, natural ventilation, water-efficient fixtures, dual-flush toilets, and abundant natural lighting to minimize energy consumption. Check out the rest of these images Kwok was kind enough to share with us. 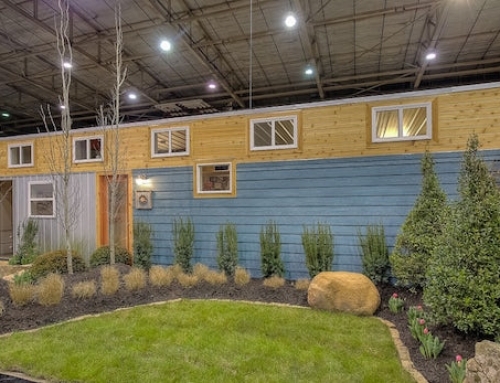 [+] Watch a video of this Smart Green Home 2010. People keep saying, “but why do the shipping containers always need to look like shipping containers? Now we can say, “the don’t !”. 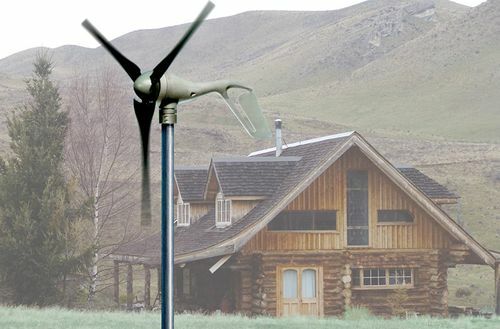 Eco-friendly house deseved credits. 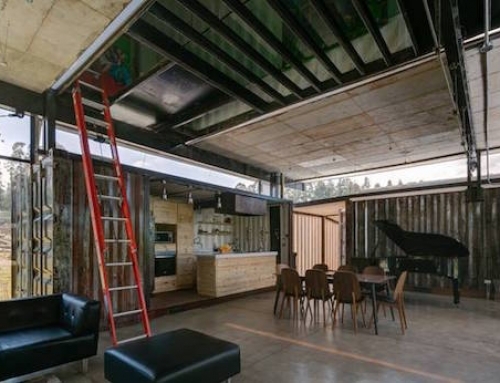 I would like to see more upcycled house build in this country. Prejudice against container architecture should drain away. We still trying our best! Very Nice !! I like this idea and design. GREAT!! can help to reduce shipping containers stockpile at ports. We thank alot about your friendly help . 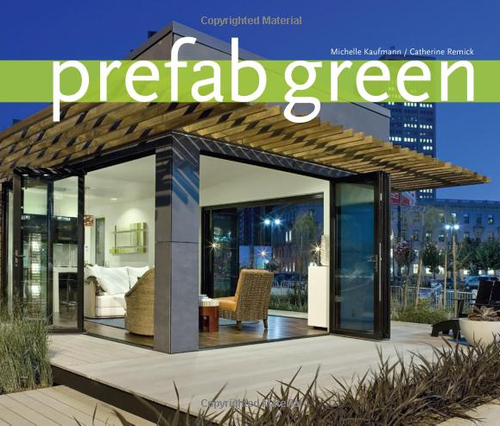 We are establishing a company which works on buildings that make with container . We need your guidance about this topic . We have readiness to acceptance of agency and presentation of service under your license . Please send some information about resistance against earthquake , thermal insulation , accoustic, water proofing , storage of energy , installation . Also please send a copy of your standard of quality And your certificate . Looking for this kind of design for long time! Great to see this in Malaysia and I’d like to own a green home like this too. Hope everyone can go for green now and save the planet! what is the solution for heat problem? 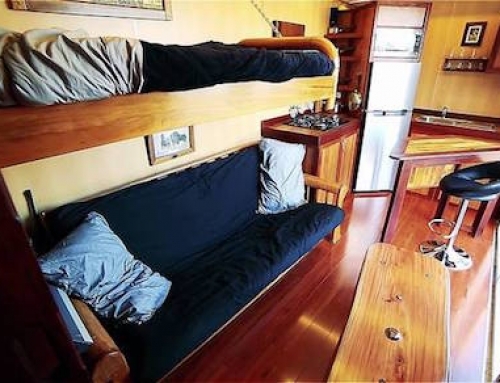 i don’t think that will be possible to living in steel container as it will absorb the heat from the sun. I AM IN LOVE WITH THIS HOUSE!!! PLEASE HOW DO I CONTACT THOSE GUYS FOR A SIMILAR SET UP IN THE SEYCHELLES ISLANDS?!!!! i would like to know the cost..i bet it was much lower than conventional type of house..i really want to know the cost roughly per sq/m..really need the help..i want to build it for my parents..it was simple construction but with the eyecatching result. Magnifacent. I truly believe that in the face of rapidly dimimishing natural resources, and increased cost that this revolutionary approach to construction is the way forward. 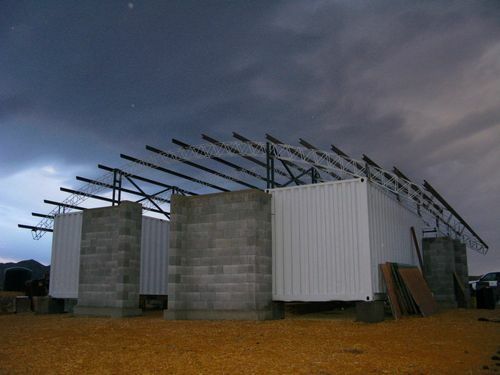 In addition to its application for commercial and domestic purposes, containers can be used to provide emergency dwelling in natural disaster situations. aren’t you missing the point? why hide the containers? Great job Ken! Have a few questions for you. 1. What did you use for exterior finished out? 2. 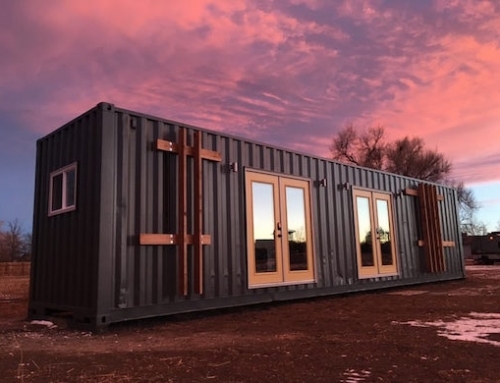 How is the iso shipping container cost? 3. Was easy to get construction permit due to unusual buiding methotology? 4. Were is this building located in Malaysia? 5. is your building fully insulated, what did insulation system did you use? 6. did you prefab your container before you put them together or this was all done on the site? 7.What is the cost square feet? 8.what did you use for interior finishes ? WOW! HOW DOES ONE GET HOLD OF THE PLANS TO CONSTRUCT THESE WHERE IT MATTERS MOST. I AM VERY INTERESTED IN RE-USING THESE. Sorry. I’m still searching the solution for water waste management when using container in design. How to manage water waste? Please get in touch with me..I need consultation..